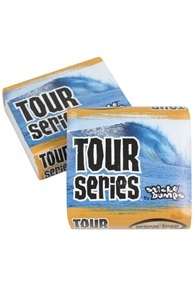 Buy Sticky Bumps surfwax online at Kitemana! Sticky Bumps surfwax is actually exactly what the name suggests, super sticky! 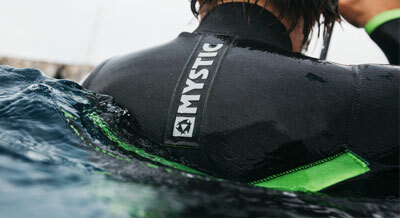 Thanks to Sticky Bumps you have a super good grip on your (kite) surfboard. In addition, it smells really good! 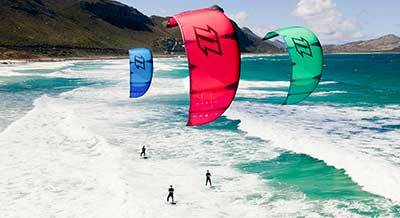 Wax researchers have been striving for the perfect formula for years to provide more grip on your kite / surfboard. 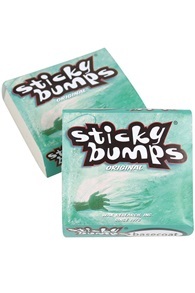 Sticky Bumps has also succeeded in producing a scented wax with a thick grip to help you while surfing. 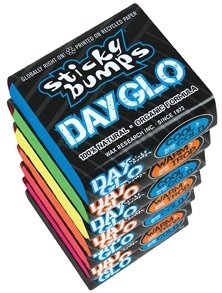 Sticky Bumps is a major player on the market and makes many different types of surfwax. For every temperature you have a wax that suits you. You start with a new surfboard with the basecoat wax. You can apply the wax that best fits the circumstances and conditions. We have the right Sticky Bumps surfwax for you. Do you have a question about Sticky Bumps wax? Call or email us.